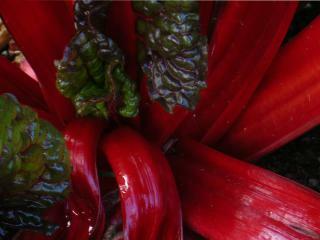 Red beet are excellent vegetables with high mineral and vitamin contents that are easy to grow. Caring for them from seed to harvest should not put anyone to the test, and will make for delicious meals both raw and cooked. 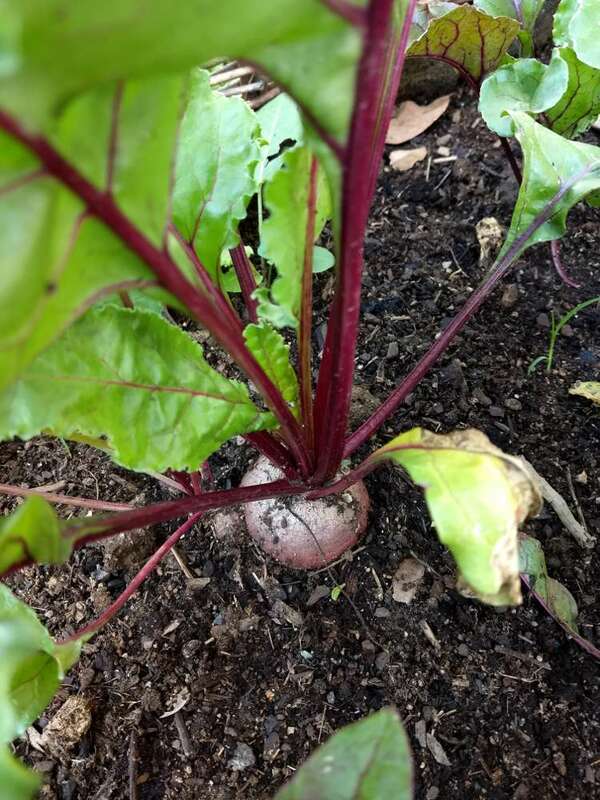 Either sown directly in the ground from seed or planted from young seedlings purchased on the market, red beets are very easy to grow. Red beet favors rather rich soil. It helps to amend the soil beforehand with fertilizer such as manure and seaweed to mix into the ground. This guarantees that you will have plump, delicious red beet upon harvest. 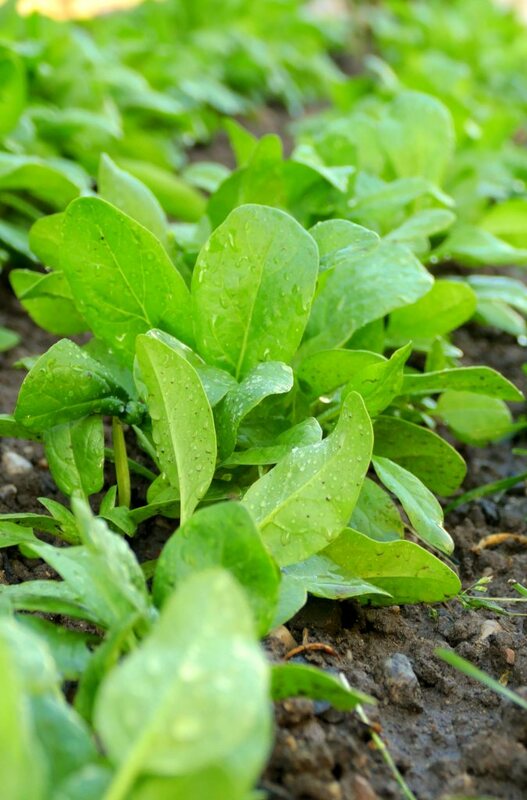 If you’re looking to sow red beet from seed, it is best to sow directly in the ground in April, May or June. Red beet sprouts quickly, only 10 to 12 days after sowing. Take care that it doesn’t freeze anymore, or protect them with a plastic tunnel greenhouse if there is any risk. Dig a furrow about 1 inch (2 cm) deep. If planting several rows, space the rows around 16 inches (40 cm) apart. Place 2 to 3 seeds in the ridges at 10 inch (25 cm) intervals. Water regularly with a fine drizzle. Thin as soon as the first leaves appear to retain only the most vigorous seedling. You might have purchased your red beet in nursery pots, or prepared your own from seeds under cover to protect it from the cold. Red beet can be transplanted to the ground anytime in spring. Place plants at least 10 inches (25 cm) apart. Water regularly and avoid wetting the leaves. 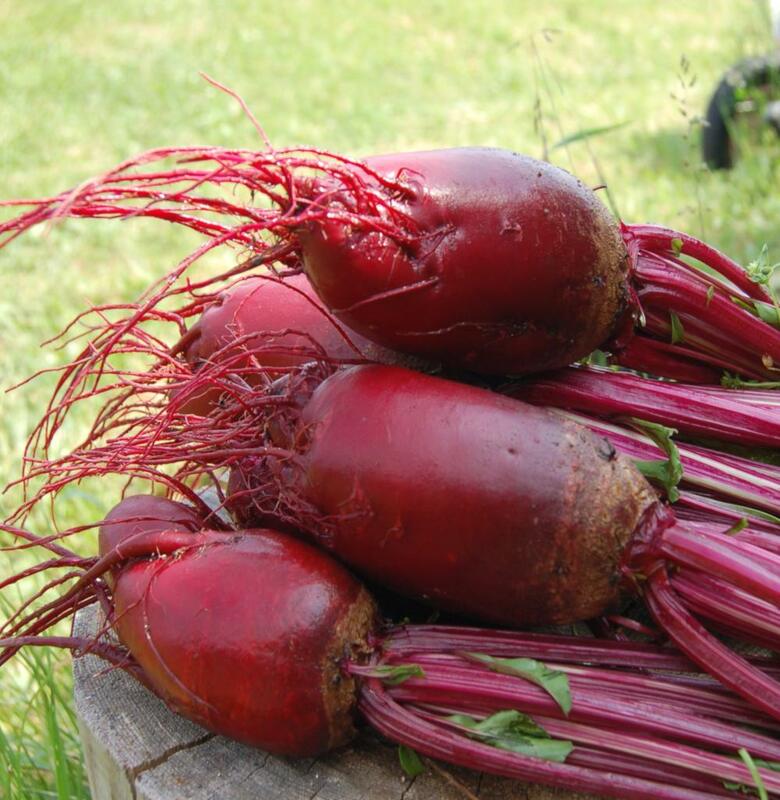 Once the seeds are sown or the planting done with, caring for red beet is straightforward and easy. Red beet hates dry spells and high summer temperatures. Lack of water makes the roots turn hard and fibrous. Remember to water from May to September as soon as the soil is dry. Mulch around the base of the red beet helps retain moisture longer. Harvest season starts in the end of May to August, depending on when they were planted or sown. When the root reaches 4 inches (10 cm) across, pull it out and eat it, either cooked or raw. Harvest only when you need them, because they keep better in the ground with their leaves than in the refrigerator. Lift the red beet delicately with a spade or forked spade without damaging it. Remember to harvest all your red beets before the first frost spells hit. If correctly prepared, red beet can keep for months. Once pulled out from soil, cut the small roots from the beet itself. Remove leaves cutting them off at ½ inch (1 cm). Brush them a bit to get rid of most dirt. Dry the red beet a bit and then place them in a crate with sand in a cool but well-ventilated room. 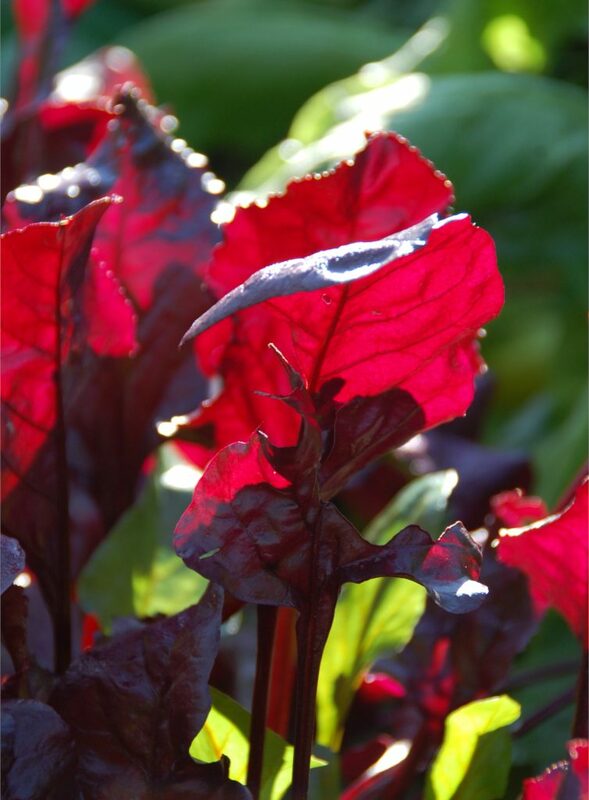 Red beet is eaten for its roots, whereas other varieties called silverbeet or chard are only grown for their leaves. Red beet, with scientific name Beta vulgaris subsp. vulgaris, is a subspecies of the Amaranthaceae family mostly grown for its roots. Red beet is also used to produce sugar, but a special, saccharose-rich sugar beet variety is cultivated in large fields specifically for that purpose. Red beet is part of the same family as silverbeet and spinach. 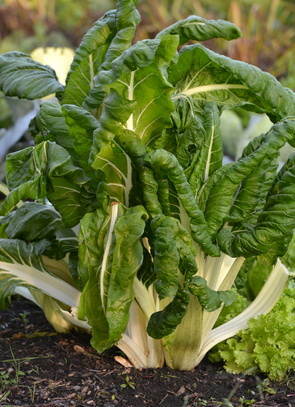 It has high sugar contents and is particularly well-loved in mixed salads. It will also replenish your vitamin, fiber and mineral needs! 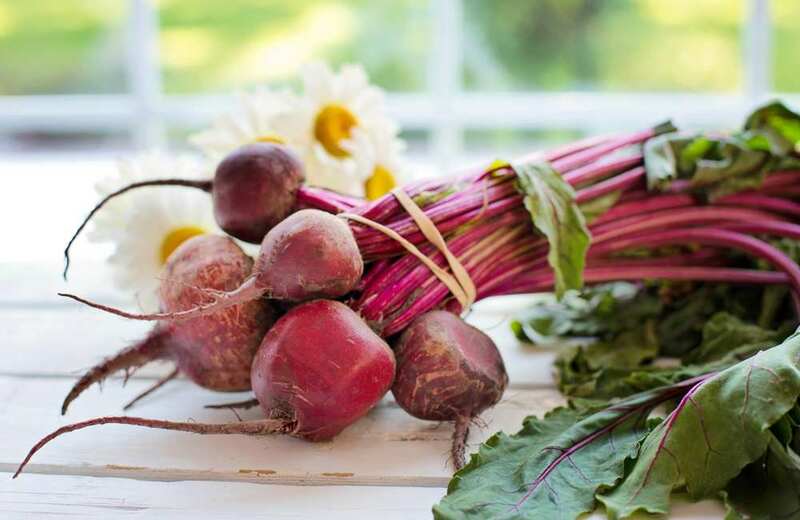 Red beet also has high vitamin C contents and its leaves contain a high vitamin A ratio. 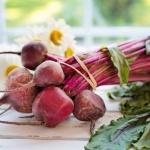 Finally, note that red beet has elevated levels of fibers, proteins and betaine. Keeping red beet in sand crates will let you eat them all winter long. Simply cover them with clean, dry sand and store them in a cool, dark and well-ventilated spot. It simulates spending the winter outside!